Make Up For Dolls: Chanel Chance Eau Tendre Perfume - New Size, Matching Deodorant & Hair Mist! 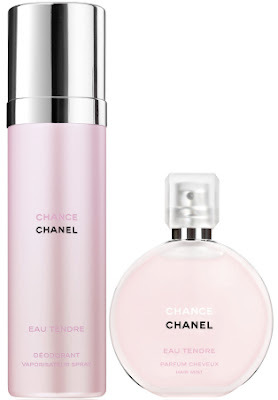 Chanel Chance Eau Tendre Perfume - New Size, Matching Deodorant & Hair Mist! So - some information on this range of perfumes. There are three Chanel Chance scents; Chanel Chance, Chanel Chance Eau Fraîche, Chanel Chance Eau Tendre. My personal least favourite of the three, the original Chanel Chance, is formulated with notes of jasmine, pink pepper and amber patcholi. It also features vanilla, white musk, iris and hyacinth and some citrus and vetiver to lift it out of all that muskiness and cloying sweetness and sickly heavy floral accords. Sorry, but that's just me personally (I can't handle these kind of scents, they give me a raging headache). The second of the other two, Chanel Chance Eau Fraîche, is similar enough to the original Chance, but it substitutes the vanilla with a teak wood note which definitely takes it out of the "cloying" bracket for me and plonks it into the "almost-but-not-quite-zesty-enough" bracket. Otherwise, the ingredients are more or less the same as with Chanel Chance. 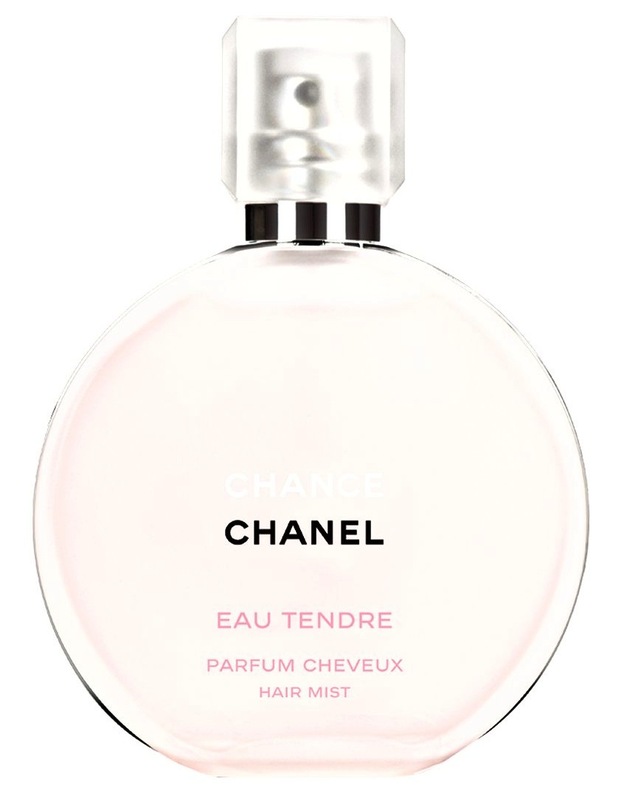 The third and final Chance scent, Chanel Chance Eau Tendre, is the only one of the three that I can personally wear. It further improves on the Chanel Chance Eau Fraîche (in my opinion) by removing the vanilla accord. It replaces the amber patchouli with amber, and the citron with grapefruit/quince. The ceder stays in but the vetiver is gone - I'd've liked to see that stay put, but then it might have unbalanced the floral with too much citrus fruit. 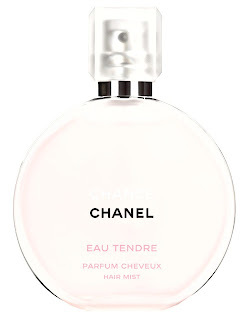 A hair mist - this is designed to match the Eau Tendre perfume and to lightly scent your hair without drying it. Coming in a 35ml spray bottle, this will be a LE product and will cost €40. A deodorant - again, designed to match the Eau Tendre perfume, I'm assuming that this will be a slightly-more-alcohol-and-slightly-less-perfume-based EDT spray. Coming in a 100ml bottle, costing €38, this will be permanent line I believe. I actually quite like to purchase a signature perfume line's matching deodorant as a really light alternative to an EDP/EDT for summer use (you know, for those countries where the sun shines and it's actually hot). These will all be available from 19th April on-counter.